New guide encourages more solar energy integration for homeowners associations | West Coast Solar, Inc. Some homeowners may find that the biggest obstacles preventing them from purchasing and installing a solar panel array on their house are restrictions and policies put in place by their homeowners association (HOA). Due to a number of reasons, these groups often have serious reservations about allowing their members to build such systems on their rooftops. In response to this problem, the Solar Foundation (TSF), an organization that promotes solar energy, has released a guidethat seeks to resolve some of the issues that have made HOAs less enthusiastic about having more solar energy in their communities. The paper, titled “A Beautiful Day in the Neighborhood: Encouraging Solar Development through Community Association Policies and Processes”, provides information on various policies and regulations that might be put in place by an HOA that wants its members to adopt solar but in a responsible way. The guide points out that some states have laws in place that prohibit an HOA from preventing homeowners from installing rooftop PV systems. For example, the California Solar Rights Act includes such a provision. West Coast Solar provides solar panel design and installation services for homeowners who belong to an HOA. 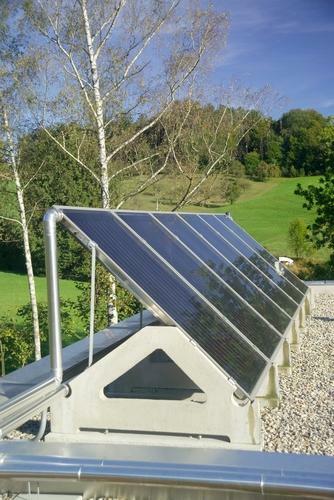 Our photovoltaic systems are aesthetically pleasing and provide a safe, clean electricity source that is low maintenance and saves money on energy bills. Contact us today for more information.